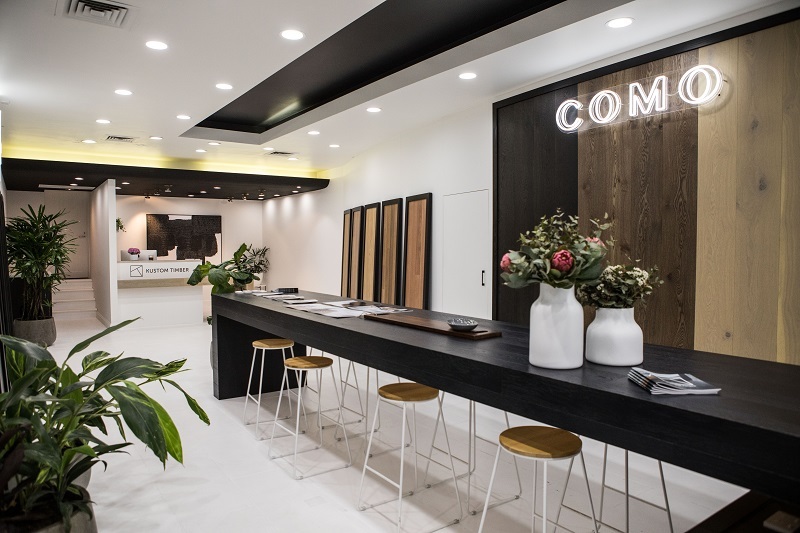 Premium engineered timber flooring company Kustom Timber has opened it’s second Melbourne showroom– a pop up version in the heart of South Yarra. Launching in line with the release of Kustom Timber’s exclusive new ranges – Como, Habitat, Immerse, Studio and Outback - customers to the South Yarra showroom will be privy to a first look at these unique and innovative new oak flooring products. Specially designed and produced to offer ‘something for everyone’, the new ranges include products suited to high end homes, right through to apartment ranges and more. Kustom Timber Director Mark Chaz says they’re thrilled to be opening a collaborative pop up space in line with their new range releases. “Our new ranges have been carefully planned to offer clients practical yet stunning solutions for all types of properties – whether it’s high rise developments or million dollar homes,” he added. Launched in Melbourne in 2013 by business partners Mark Chaz and Tristan Tiller, Kustom Timber has spent the last five years building a strong reputation amongst Melbourne’s boutique builders and renovators alike. Unlike their competitors, Kustom Timber provides a full service offering, from product supply to install, right through to maintenance and aftercare.